Personalised small tags . Perfect to use for Wedding favours. These personalised tags are so sweet! Perfect to attach to your wedding favours, party favours or tiny personalised gifts. 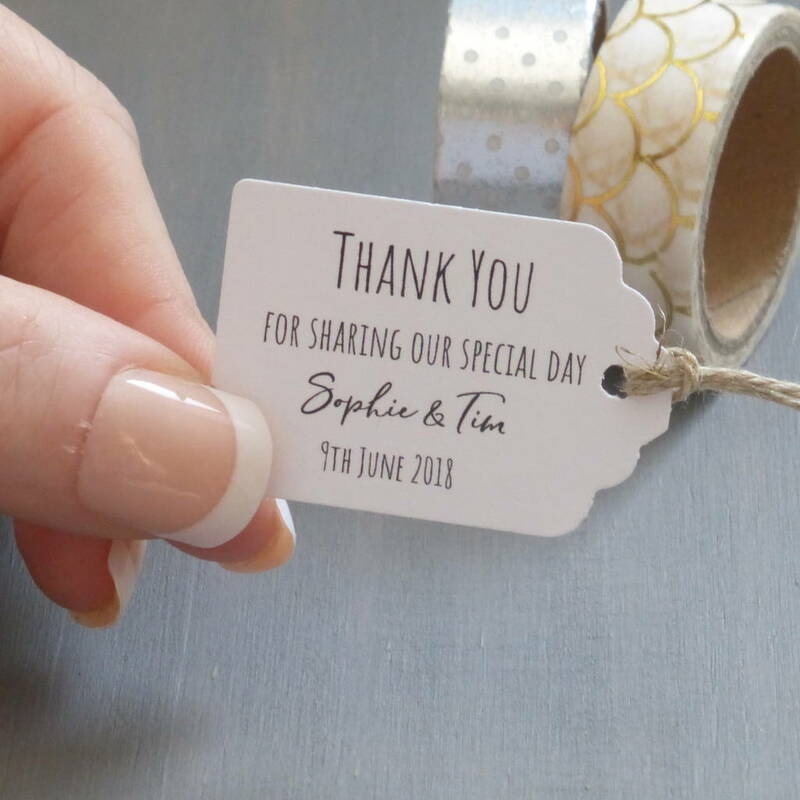 Each tag will come with the words 'Thank You for sharing our day' and can be personalised with your names and date. This listing is for one tag. Choose to have either ribbon or string ties. Our personalised vintage style tags are available with either ribbon or string ties. Please select your choice from the drop down menu. High quality recycled white card stock.